Working to help cats in Kern County since 1990. The Cat People is a 100% volunteer organization that was founded to eliminate the suffering of unwanted cats and kittens. A group of women started working together over 20 years ago to help the abandoned cats and kittens in Hart Park in Kern County. Today, the organization runs a sanctuary, Pawsitively Cats, that shelters abandoned felines as they search for a forever home. The organization has an official contract with the county to manage the colonies in Hart Park, and it provides spay/neuter vouchers and food to low income families to assist them in keeping their beloved pets cared for and altered. Our 20 -year dream was finally realized in July, 2016, when, thanks to our faithful members and a compassionate benefactor, we were able to purchase property. For the last two years it has been a roller coaster of dealing with the bureaucracy of county permits and some much needed repairs, but now over 70 once-abandoned felines live on the property in a home-like setting. Caring volunteers , ages 18-91, help clean and care for our cats. Future plans include a beneficiary program and our own version of a cat café. Meanwhile, the cats and kittens enjoy bright colorful rooms, ramps everywhere and safe outdoor "catios". It truly is a one-of-a kind-wonderland for cats and, as the volunteers tell us, cat lovers. We are completely funded by donations from the community, and are in great need of donors to continue our important work at the sanctuary. Consider donating any amount today. We are in need of support to continue our important work to end the unnecessary suffering of felines in Kern County. Whether you can donate to one of our programs, volunteer at our sanctuary, become a foster family, or adopt one of our cats, we need you! To learn more about all of our programs, click here. Our cats and kittens want to meet you. Looking for a forever friend? Is someone you know trying to find the purrfect pal? Be sure to think of The Cat People first. We work hard to match our adopters with the most wonderful cats and kittens. We are also proud of the excellent medical care our adoptable cats and kittens receive. We ensure all of our animals get a complete medical exam, receive a combo test, medicated for fleas and worms, vaccinated, and altered. If you adopt a kitten that is too young to alter, you will receive a voucher covering the full cost of the spay or neuter. Click here to view some of our available cats and kittens. Click here to fill out a pre-adoption questionnaire. Donate today to support our various programs that make Kern County a better place for cats! Find out how you can help. 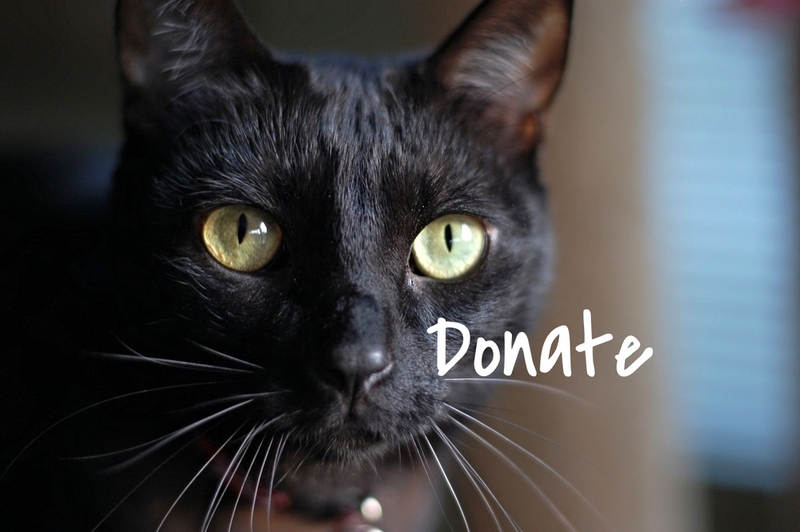 Donate funds, supplies, or time to The Cat People today.